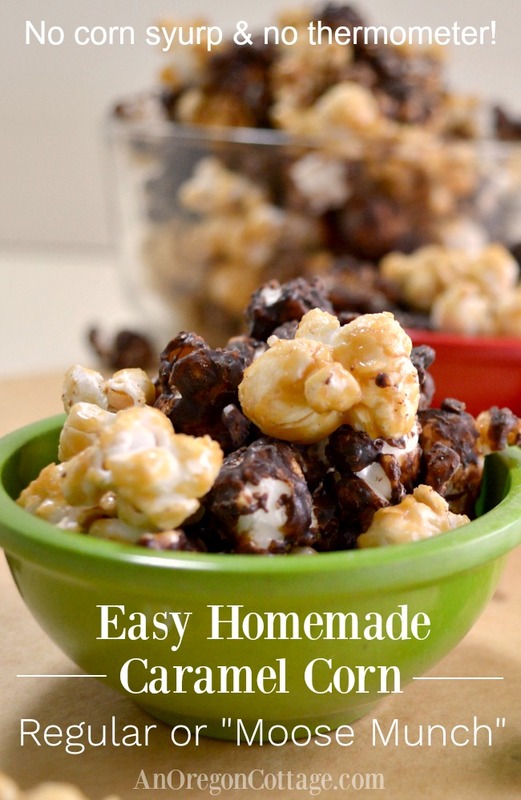 Easy step-by-step recipe for honey caramel corn – no corn syrup or thermometers needed! AND how to turn it into homemade “Moose Munch” by adding chocolate to half, making it a perfect gift or party food for holidays – or any days. This recipe for homemade caramel corn is made with honey instead of corn syrup and is super easy to make – but everyone will think you slaved away! I found the original corn-syrup version of the caramel corn recipe in a vintage Farm Journal cookbook inherited from Brian’s Kansas grandma, but I knew it was worth adapting because of the 5-minute cooking time – and great results. And when I turned the caramel corn into a Harry & David Moose Munch knock-off, it became the most popular Christmas treat we give to our family and friends. 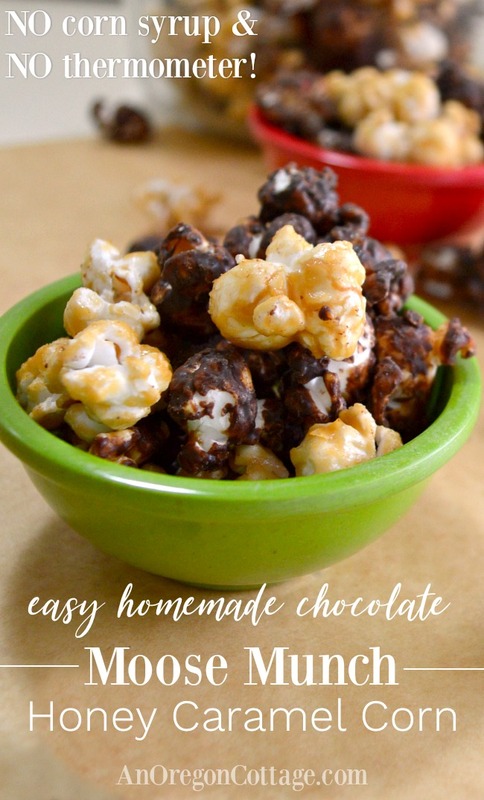 To make it as close to the H&D version we liked so much, I figured out how to thoroughly coat some of the caramel corn with chocolate, and then mix them so you’d be able to pick out the different caramel or chocolate corn from a bowl (versus just drizzling caramel corn with chocolate). And it is SO good. Everyone tells me their family fights over this Moose Munch popcorn and they have to make sure it’s equally distributed to keep the peace. I can only make this one time a year or I will eat it all in a sitting, a-hem. Anything that good deserves a place in the Christmas line-up, right? Update: Or birthday line-up! 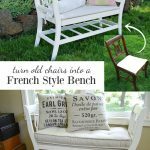 It’s so loved that I’ve given it away as birthday gifts so no sharing is needed. Since some people shy away from making caramel corn (you know, hot syrup, candy thermometers and all that), I’m going to walk you through the steps so you can see how easy it is- really. So now there really are no excuses. Except for all the sugar and butter part, but we won’t bother about that right now, okay? 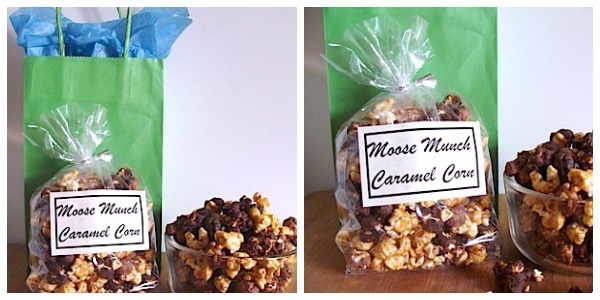 To make the Moose Munch for a gift, you’ll need to make the caramel corn recipe and let it cool completely. Then one half will be coated with melted chocolate and that will have to cool completely before mixing the two back together, which takes many hours (I leave it overnight). 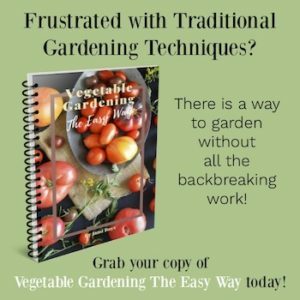 So you’ll need to plan to make this a few days before serving or gifting. 1. Pop the popcorn. 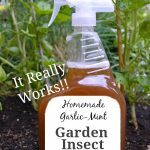 I use an air popper because it’s easy. You can make it however you wish. 2. Then spread it in a large, oiled roasting pan. The most important thing to remember, though, about this step is to leave all the unpopped and partially popped kernels in the bowl when you transfer the popcorn to the pan. 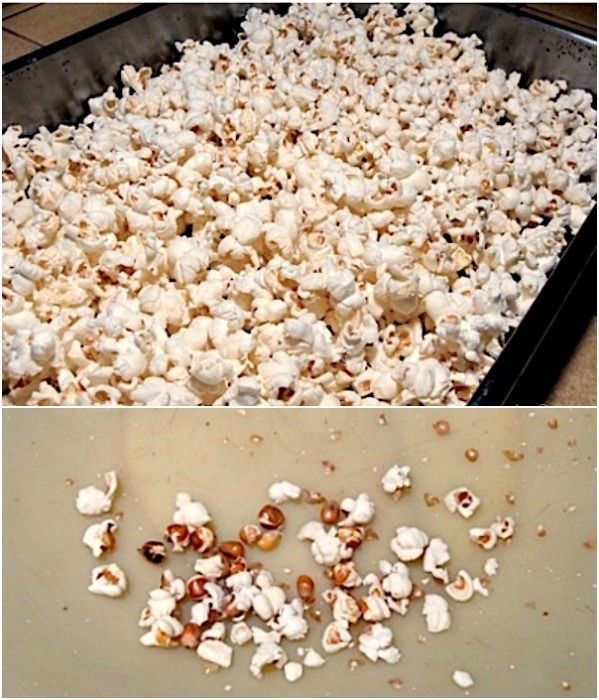 Do this by transferring the popcorn with a your hands or a spoon, not just dumping it into the pan. Your teeth (and your family’s teeth) will thank you. 3. Set the pan of popcorn in a 250 degree oven to warm while making the caramel. 4. Place the butter, sugars, and honey in a large saucepan set over medium heat to melt it together. TIP: Use a wooden spoon at this point so it can stay in the pan during the cooking process and not get hot. 5. Stir until you start to see some gentle bubbles on the surface, similar to the picture top left (I really tried to get a picture of this, but the light and camera weren’t cooperating, though I think it’s close). 6. When you see the gentle bubbles, set a timer for 5 minutes. 7. Continue to stir for the full 5 minutes. The mixture will start boiling a bit harder, but never get crazy on you, similar to the photo on the top right. TIP: I always make the caramel in a large 4-qt. saucepan to give it all the room it might need. 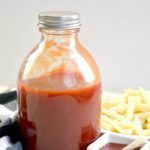 I have had no spits or overflows with this recipe, though you should take care because it’s hot and will burn at this point (not that you wouldn’t have figured that out – I just want to cover all the bases). 8. When the timer goes off (see? no thermometer!) 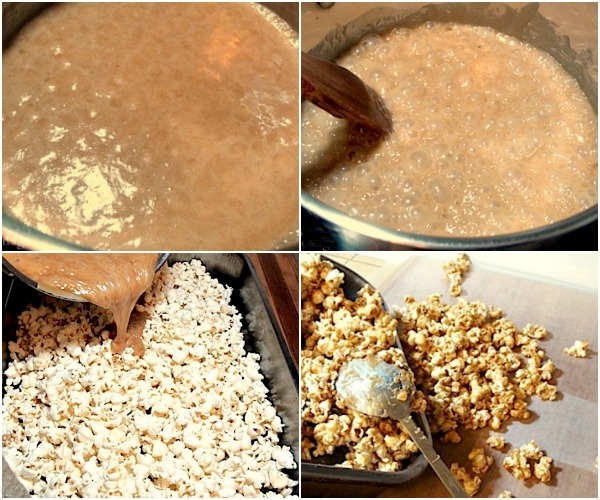 remove the pan of popcorn from the oven and pour the caramel mixture over the popped corn. Mix with a large stainless steel spoon in the pan until most of the popcorn is evenly coated. 9. Place the pan in the oven. Bake for 15 minutes, stir the pan of caramel corn again and then return to the oven for another 10-15 minutes. 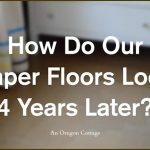 Prep a counter space with two large pieces of waxed paper or parchment. 10. Immediately pour the hot caramel corn onto the waxed paper, spreading it out over the paper to cool. 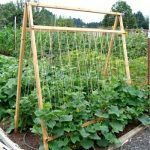 Cool completely, and then break into as small pieces as possible. 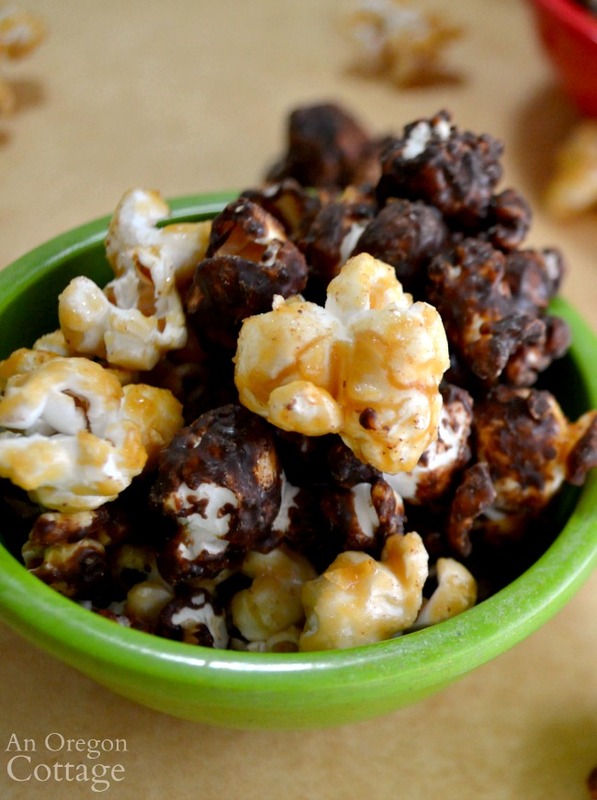 Ta-da, you’ve made the easiest honey caramel corn! 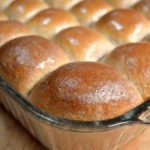 You seriously won’t believe how good this is and how simple to make. 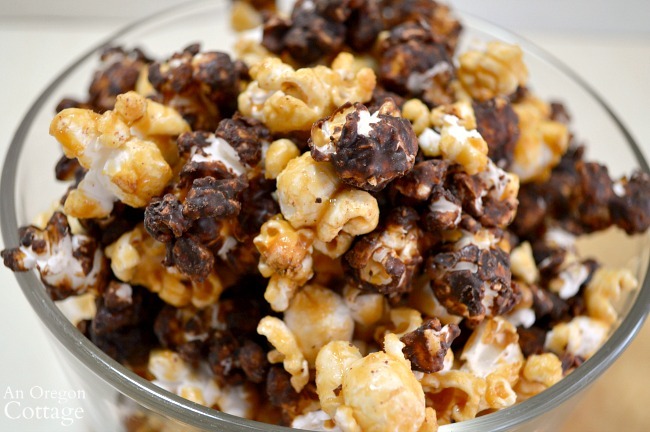 You can use it just like this – a wonderful caramel corn – or you can take half of it and coat it with chocolate for a homemade version of Harry & David’s Moose Munch gourmet popcorn (for a LOT less!). 1. Divide the cooled caramel corn in half. Place one half in an airtight container. Place the other half in a large bowl. 2. Melt 12 oz. of chocolate chips (you can use any chocolate you’d like: milk, semi-sweet, or dark chocolate or even a combination), pour over the caramel corn in the bowl and mix thoroughly until most of the corn is coated. NEW Variation: I’ve also made this into “Peppermint Crunch Caramel Corn” by coating the caramel corn with quality white chocolate and sprinkling crushed candy canes over it while the chocolate is still wet so it sticks. 3. Spread the chocolate-covered caramel corn back onto the waxed paper and use a couple of forks to separate the pieces as much as you can so that it will be easier to distribute the chocolate corn with the plain caramel corn. 4. Let it sit until hardened completely (I usually let it sit overnight, covered with plastic or wax paper). 5. When the chocolate is firm, mix it together with the plain caramel corn and package it up in baggies or containers. I recommend that you bag it up as fast as you can. How long does this honey caramel corn keep? 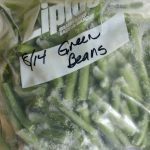 I have made this weeks in advance of gifting and it’s been fine kept in airtight bags at room temperature. Surprisingly, this also freezes well – I found out by accident after storing a goodie bag full of cookies and Moose Munch in the freezer when we couldn’t deliver it. It was all perfect when defrosted. 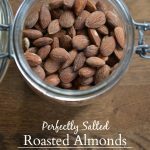 I hope you and your loved ones enjoy this recipe as much as we have! 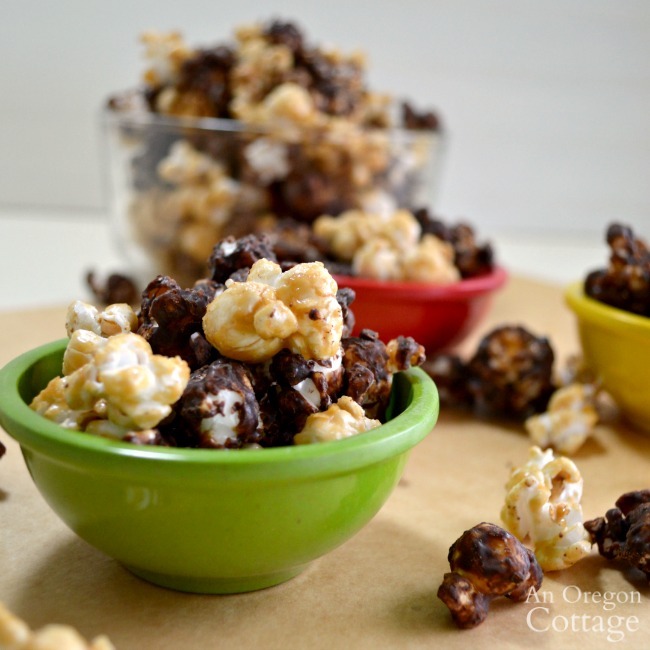 Click the arrow for the full honey caramel corn recipe (with print options)!